.... In what C. S. Lewis called "the liturgical fidgets," translators of Scripture and ritual too up-to-date for their own good—or that of the English language—supposed that the King James Bible (and the earlier Book of Common Prayer) had grown too esoteric for the common ear and needed flattening. God, wrote one British wit, now "speaks like someone you meet on the bus." Thus we passed quickly from the 17th-century "Shakespearean moment" to the 20th-century moment of banality. It was, to say no more, a misreading of human psychology, which values challenge in ultimate matters. .... King James I finessed Puritan demands for plain language and worship by sponsoring the version that bears his name. The Puritans were represented among the 1611 translators but happily were prevented from laundering its eloquent and elegant phrases. Those hallowed words go on ringing today in the ears of those fortunate enough to be schooled in them, as do the felicities of Thomas Cranmer's incomparable Book of Common Prayer. 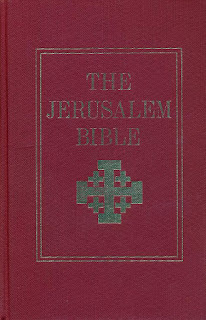 Without the King James Version, would we know of "the world turned upside down" or "a thorn in the flesh" or "a still small voice" or the beating of "swords into plowshares" or "lambs to the slaughter"? And many other wonderful phrasings? .... The lesson of the liturgical and biblical fidgets of the 1960s and '70s is that literacy, an essential part of what Edmund Burke called "the unbought grace of life," may be damaged, even lost, by eager revisionists who miss the deeper mysteries of life and faith. If it weren't uncharitable, I would say: a pox on them and their tinseled works! 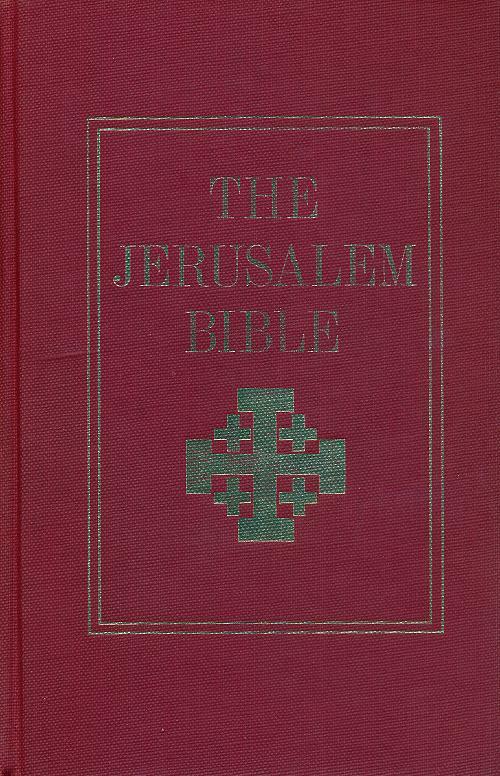 The Jerusalem Bible was once my favorite among modern translations. I came to it upon reading that J.R.R. Tolkien was one of the editors. I still have a copy of that original edition (see above) which I think superior to a later revised version.